Our hearts are heavy tonight. We have loved the music of the Everly Brothers all our lives. They recorded so many great songs! 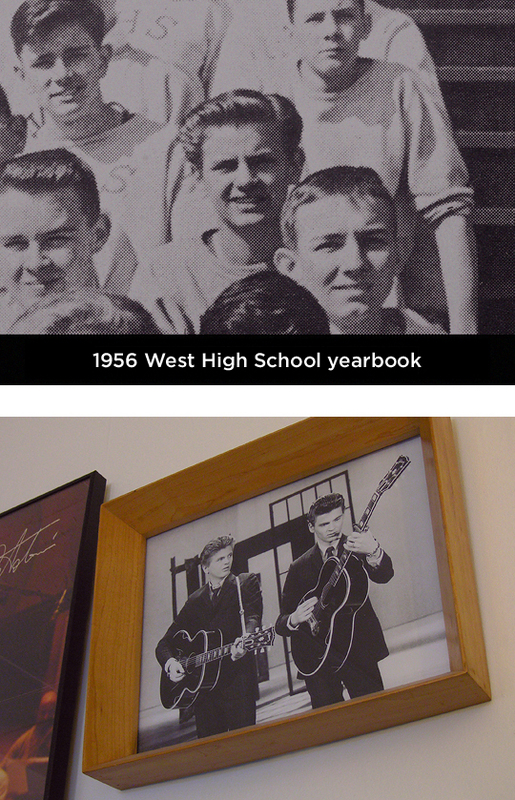 As fans, we were excited to discover that the Everly family had lived just a couple blocks from here back when Don and Phil were teenagers going to West High School. Apparently, they had long hair and cool clothes from the very beginning! The sound of the Everly Brothers was magic. Thank you, Phil—your music will last forever.